Graham Allison is the Douglas Dillon Professor of Government and former Director of Harvard Kennedy School’s Belfer Center for Science and International Affairs. As “Founding Dean” of the modern Kennedy School, from 1977 to 1989, a small, undefined program grew twenty-fold to become a major professional school of public policy and government. His latest book, Destined for War: Can America and China Escape Thucydides’s Trap?, was published by Houghton Mifflin Harcourt in 2017 and quickly became a national bestseller. His 2013 book, Lee Kuan Yew: The Grand Master’s Insights on China, the United States and the World (co-authored with Robert Blackwill), has been a bestseller in the U.S. and abroad. Nuclear Terrorism: The Ultimate Preventable Catastrophe, now in its third printing, was selected by the New York Times as one of the “100 most notable books of 2004.” It presents a strategy for preventing nuclear terrorism organized under a doctrine of “Three Nos:” no loose nukes; no new nascent nukes; and no new nuclear weapons states. Dr. Allison’s first book, Essence of Decision: Explaining the Cuban Missile Crisis (1971), was released in an updated and revised second edition (1999) and ranks among the all-time bestsellers with more than 450,000 copies in print. Dr. Allison has served as Special Advisor to the Secretary of Defense under President Reagan. 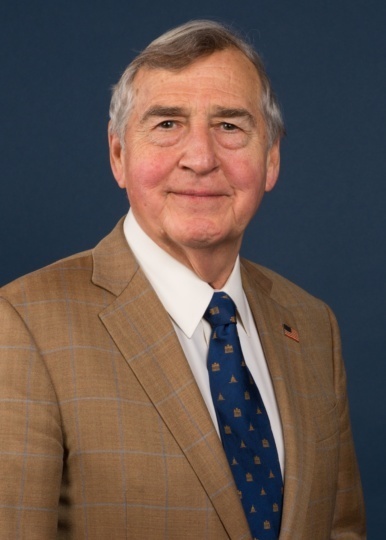 He has the sole distinction of having twice been awarded the Department of Defense’s highest civilian award, the Distinguished Public Service Medal, first by Secretary Cap Weinberger and second by Secretary Bill Perry. He is a member of the Aspen Strategy Group.